In general, the Utricularia species are fairly easy to take care of, be it in a windowsill or in a glass case with artificial light. The following species are certainly worth trying; Utriulcaria sandersonii, Uitricularia subulata, Uitricularia livida, Utricularia alpina, Utricularia longifolia, Utricularia reniformis and Utricularia calycifida. At this page you find the different species we offer and can you read all about their requirements. 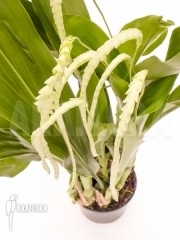 If you want to locate a specific species of plant, you can search our webshop using the PlantFinde. 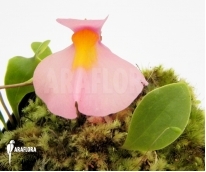 Please click here to open the Araflora Plantfinder.